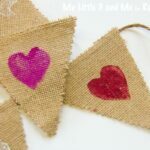 Welcome to Terri from Creative Family Fun who is sharing this super sweet “Love Heart” Bunting today. Do check out the other posts in our 31 Days of Love series! 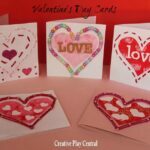 From Valentines Gifts to Valentine’s Cards , Valentines Treats, to more Valentine’s Decorations ! 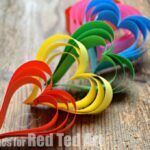 Hi, I’m Terri from Creative Family Fun and I’m thrilled to be guest posting on Red Ted Art today. We took that idea and ran with it. A few days later we were hanging our Candy Heart Garland. 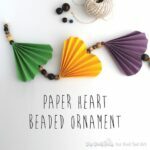 This is such a simple project to make. 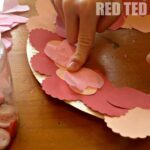 What I loved best about it was that it was a chance for my girls and I to spend the morning around the table talking and creating. It was quite a lovely morning! Are you ready to get crafting? 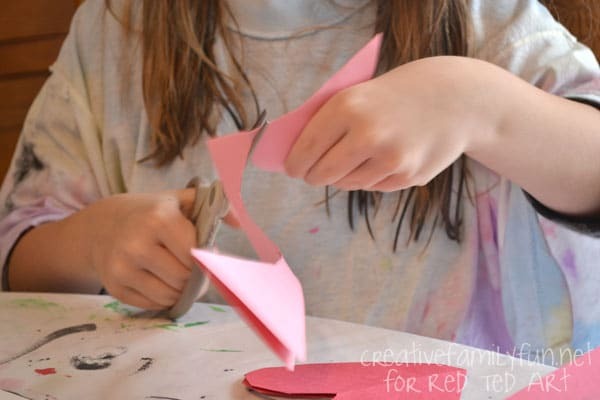 For the first step, cut out your hearts. I cut each sheet of construction paper into quarters. 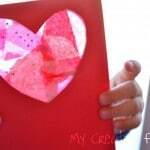 The girls cut one heart out of each quarter. 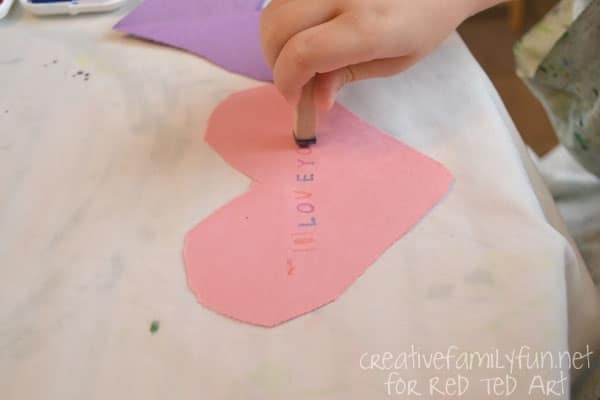 While we were cutting, we talked about some of the different sayings we might find on a candy heart. 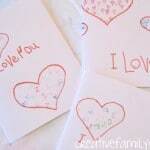 Sweets for the sweet, UR Cute, I love you, and Hug me all made the list. The possibilities are endless. The girls even added such gems as: Best Daddy ever and My Mommy is the best. 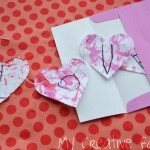 After all of our hearts were cut out, we used our alphabet stamps to write our messages. 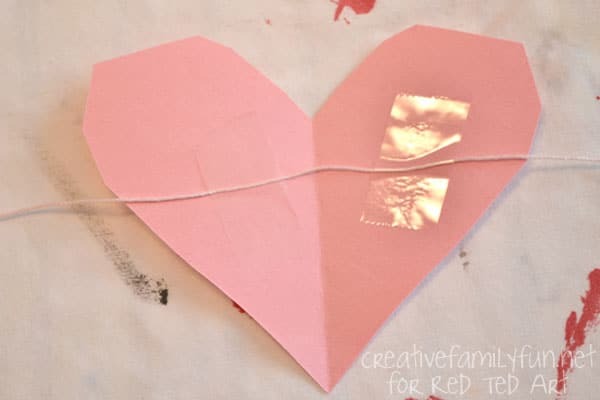 The stamps mimicked the look of a candy heart. 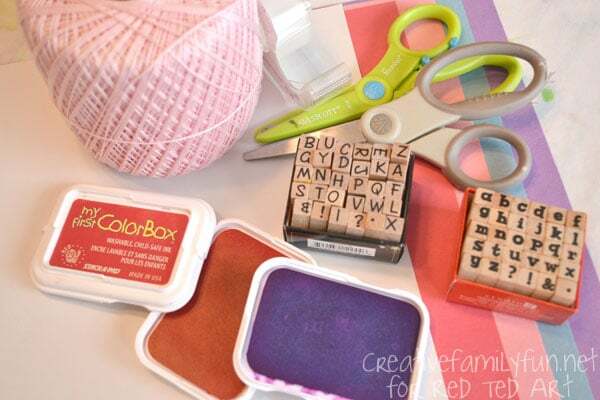 We had several colors of ink pads, but you only need one for this project. 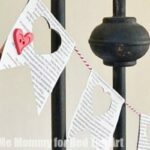 After all your hearts are done, you can make the garland by taping them to the string. Leave 2 to 3 inches between each heart. You can make one long garland or several smaller garlands, which was what we did. 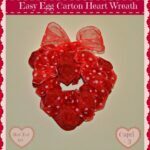 We had so much fun working together to make our Candy Heart Garland and I hope you have fun with it too! 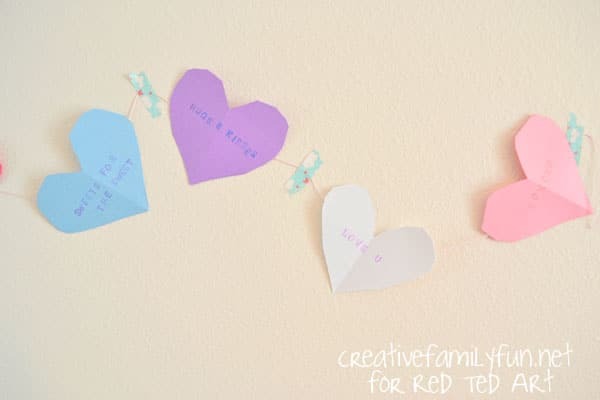 Thank you, Red Ted Art, for letting us visit and share with your readers!